A quartet of Korean Christian girls on a mission trip to Thailand make a disturbing discovery in their hotel bathroom in Man of God, a world-premiere work from East-West Players at L.A.'s David Henry Hwang Theater. From dealing with personal betrayal to worrying how this might affect their college applications, these young women are out for blood, plotting their revenge amid the neon lights and go-go bars of Bangkok. 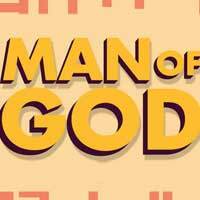 Billed as a funny, feminist thriller, Man of God is written and directed by women. "...Director Jesca Prudencio keeps the pacing fluid and smartly paced as the real life situation turns into each girl's imagination sequence, then back to the unpleasantness at hand." "...The discovery of a spy cam pointing up from inside the hotel bathroom toilet of four Korean-American teens on a mission trip to Thailand sets in motion a wild and unexpected chain of events in Anna Moench's Man Of God, an East West Players World Premiere as funny, dramatic, and edge-of-your-seat gripping as it is a timely reminder that there are no age restrictions where the #metoo movement is concerned." "...The show manages to be horrifying yet hilarious as it exposes the extent of the power play that goes on behind abuse. Relevant and well-executed, this production of Man of God manages to make the audience both laugh and squirm." "...There are three fantastic scenes in which the audience can see the girls' inner thoughts - what they would do to the Pastor if they only could. These scenes are enhanced by sound, neon lights, and even an amazing ninja fight (by Howard Ho, Rebecca Bonebrake, and Andy Lowe, respectively) and are some of the best moments of the play. There is also a long silence towards the end, during which the audience sees the girls moving about on the stage without saying a word. It's perhaps the loudest silence you will ever hear, as so many thoughts, and so many questions, fill your mind."